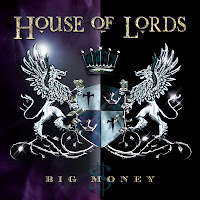 RockUnitedReviews: HOUSE OF LORDS: "Big Money"
"The Root Of All Evil - MMMONEYYYYY!" This is how the new House Of Lords album starts, a soft female voice saying the first line and James Christian belting out the "MMMONEYYYYY". Effective, gets one's attention. A brief HOL history - three albums during the late eighties and early nineties, break-up, then a comeback with 4 out of the 5 original members and a new, seventies' like raw sound. 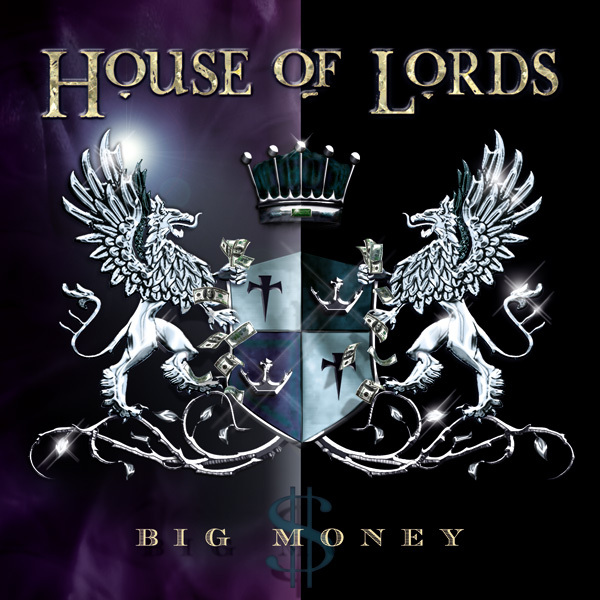 The reviews were mostly unfavorable, so vocalist James Christian took reins and put together a new House Of Lords, with an intention to go back to the original sound of the first three albums. And he did it with success, this album being the fourth in a row, true to the origins of the band. The previous HOL album "Cartesian Dreams" was a good album, but not quite as stunning as the previous two. A few of the songs were clearly fillers, not meeting the high standard set previously. I'm glad to say that there are no real fillers on "Big Money". Naturally there are songs which aren't quite as good as the others, but the quality never really drops that much. "Searchin'" and "Seven" are probably the most "average" tracks of the album, but they're still pretty decent ones. On the other hand, there's a few tracks that would deserve a place on a Best Of House Of Lords compilation for sure: the clever and catchy "Hologram", the pompous AOR of "Someday When" and the beautiful ballad "The Next Time I Hold You" for example. Not to forget "First To Cry", the same song that was recorded a few years ago by Ignition. I might prefer the Ignition version, but this one isn't far behind. If you've liked the previous three HOL albums or the original three ones, you can safely hand your well earned money to the cashier in your records store. Or should I say "use your credit card and buy the songs from your favourite electronic music dealer"… whatever is your choice, this is one of the essential AOR purchases of the year.